Welcome back! After Sunday’s episode of Game of Thrones and having to say goodbye to the clone club from Orphan Black I figured we could all use some fun light hearted listens to treat our ears with! We have a gay hornless unicorn, a girl needing a break from her match making mother and a teenage reimagined Sherlock and Watson book! Enjoy! After a recommendation from a friend I got sucked into this ridiculous yet awesome world. There’s a hornless gay unicorn along with an amazing cast of characters. Michael’s voice has just the perfect timing for the sarcasm and sass and brings the characters to life fully. I now have the second book queued up on my kindle because I HAVE to know what happens to Sam of the Wilds and come on when will it be out in audio??? 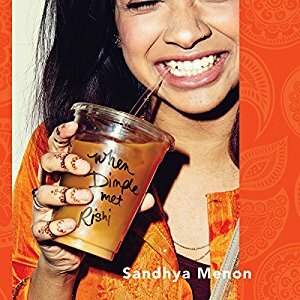 I loved this Teen read because Dimple and Rishi are two fantastic characters. Rishi is a romantic at heart and decides right away that Dimple is his love and future wife. Dimple on the other hand leaves for a program to get away from her matchmaking mother for a summer. The two are perfect together and I love how devious the parents are! Normally I’m not a fan of arranged marriages, and come on how can it work in 2017? But I have to say the way the author wrote this romance is the perfect thing for a light hearted contemporary read! It’s seriously adorable. 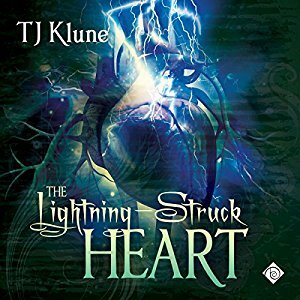 This is one of my favorite teen listens because Graham brings Jamie Holmes to life (it’s narrated in his POV). 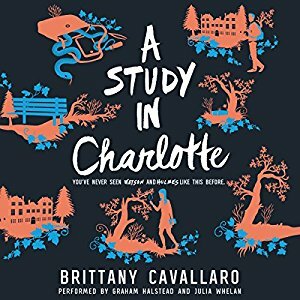 I have read many Sherlock books but Charlotte is by far one of the best reimagining’s. There’s murder, danger, a laboratory, subtle romance and twists that will keep you guessing along side Jamie… Charlotte of course is already three steps ahead of you… at least! This is also one of my mother’s favorite audio listens and the last chapter had us laughing hard.